Mustang Resources (ASX: MUS) announced on Thursday morning that it had recovered a further 350 carats of high-quality rubies from the initial phase of its bulk sample mining at the Montepuez project in Mozambique. This brings the total number of carats recovered to date to 810. 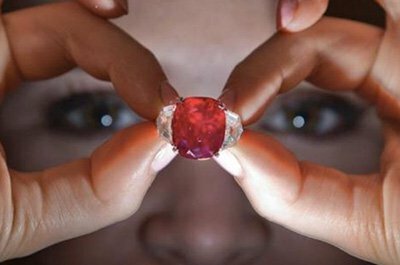 To put this in perspective, the group’s bulk sampling plant has only been operational for seven weeks and the rubies recovered were from the processing of approximately 3800 cubic metres of material. MUS expects to ramp up the processing capacity to 350 cubic metres per day by achieving consistent nameplate production capacity and by resolving what are considered as temporary challenges related to the clay content of the ruby bearing gravels and the lack of consistent process water. Based on these metrics, the company could handle the same volume of material that has been processed over the last seven weeks in 11 days once the new plant is running at nameplate production capacity and issues regarding extraction and lack of water are resolved. It should be noted that MUS still has some work to do to resolve the issues, thus investors looking at this stock for their portfolio should take this and all publicly available information into account and seek professional financial advice before making an investment decision. While it could be argued these are key issues that have to be resolved in order to attract investors, MUS’s operations run almost side-by-side with one of the largest ruby producers in the world and it would appear that fine tuning the production plant will happen sooner rather than later. Ironically, solving the water problem has provided other benefits. At the start of the month the company began drilling boreholes for additional process water which resulted in the discovery of significant water next to the Alpha deposit. Consequently, MUS has been able to move its processing plant to a site established within 400 metres of the deposit, thereby substantially reducing the ore haulage distance and mining costs. To underline the importance of this development, the relocation of the plant will allow the company to introduce a second shift at the 50 cubic metre per hour rotary pan processing plant over coming months. If anything, the retracement of MUS’s share price in recent months could represent a buying opportunity. It would appear that institutional investment house, Lanstead Investors are not only backing management to resolve the teething problems being experienced, but it sees substantial value in the project. Of course, broker projections and price targets are only estimates and may not be met. Also, historical data in terms of earnings performance and/or share trading patterns should not be used as the basis for an investment as they may or may not be replicated. Those considering this stock should seek independent financial advice. The global investment firm acquired 48.5 million shares in MUS a day before the company announced its most recent recovery numbers. The investment of circa $1.4 million, representing 15% of issued capital, could be considered as an endorsement of the group’s long-term prospects, as well as perhaps being the source of funding for future developments. With more than 20 years of international investment experience Lanstead’s philosophy in its own words is to focus on developing long-term relationships with companies with a view to being an ongoing source of capital. The group’s approach seeks to create a partnership as it adopts a long-term investment strategy. 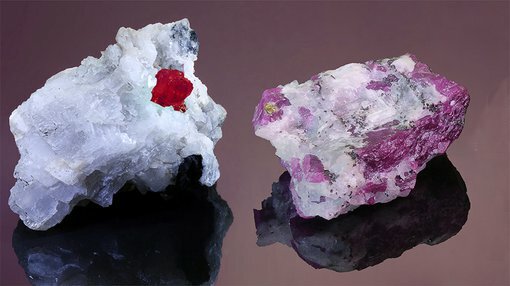 From an operational perspective, MUS’s managing Director Christiaan Jordaan summed up recent developments in saying, “While the past few weeks have presented some challenges for ramping up the bulk sample mining plant operations, given the long dry season experienced in northern Mozambique we are highly encouraged by the quality of the rubies being recovered and the potential for the Montepuez Ruby project to deliver excellent value as conditions improve in coming months”. Jordaan said the key focus will be on significantly increasing planned processing capacity, starting an auger drilling campaign to provide additional information towards the compilation of a JORC resource and achieving first ruby sales. Regards the latter, the company has already made solid progress in advancing strategic sales and marketing negotiations and an update will be provided as agreements are finalised. This is a potential share price catalyst, similar to companies working in other commodities that achieve offtake agreements.